As summer begins to wind down and the heat and humidity begin to give way to the crisp, cool air of fall, our minds wander to thoughts of Halloween. To get you in the spirit of the approaching holiday, here are a few cemeteries in the Midwest that are known to be prime spots for ghostly interactions. If you are looking to encounter a “woman in white,” these might be a good place to start. Established in 1883, Nunica Cemetery is considered by local ghost hunters to be one of the most haunted cemeteries in the state of Michigan. Known to be an “active” location for paranormal activity, the grounds are full of ghost stories and sightings that have been passed down through generations. 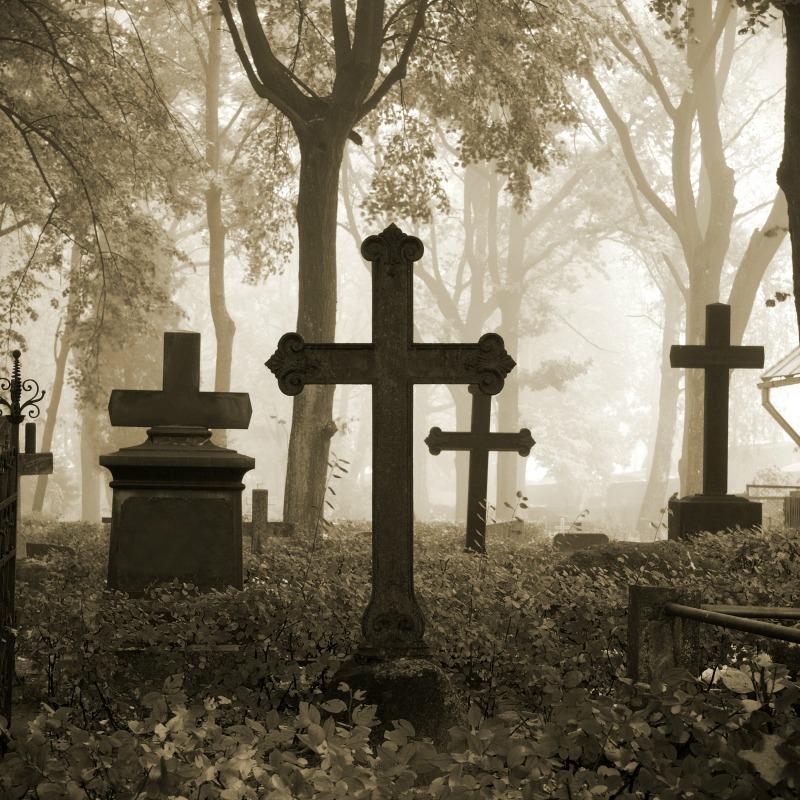 There have been a number of stories about cold spots, random voices, a “lady in white,” a child who takes the hand of adults walking through the cemetery and stays with them throughout their journey, and a number of other sightings. Graves on the grounds include soldiers who died during Civil War conflicts, a large section of children who died in the 1920s from the flu breakout that hit the town during that time, and maybe even the remains of Native Americans who once lived in the area. Shellsburg, Iowa is known by locals to be a town with a hotbed of paranormal activity. The cemetery here is known for the statue of an angel who marks the final resting place of two children who died in the 1940s. It has been said that if you visit the marker in the late evening hours you will see the angel weep real tears. This urban legend has been a part of town folklore for as long as the statue has stood in place. Founded in the 1800s this now abandoned cemetery is known to be an active location when it comes to paranormal sites in the area. Perhaps the most well-known inhabitant is Billy Cook, who was laid to rest here in the 1950s after he was executed in a San Quentin gas chamber. Cook murdered six innocent people during a killing spree that took place over the course of three-weeks. Though the case is barely remembered today, at the time of the murders Billy “Cockeyed” Cook became a household name. It is said that he was buried outside of the boundaries of the graveyard and that his restless spirit continues to wander the grounds.